(GREENVILLE, SC December 1, 2015) 10x digital, a wholly-owned subsidiary of 10-x group, LLC, based in Greenville SC, acquired RYP Marketing recently. RYP, based in Bradenton Fl, has provided a full range of online services since 2006. With the acquisition of RYP, 10-x group, LLC has added the digital division to its offering which is an expansion of its existing content marketing, public relations outreach and digital services, including web development, Search Engine Optimization (SEO), Search Engine Marketing (SEM) and other interactive, leading-edge marketing services. 10-x Group, which has been in business since October 2002, will now be known as 10x digital. Brian Copening, Executive Vice President and Caroline Davis as Marketing Technologist. Copening started his first web-based venture in 1996 and has been actively helping businesses and non-profits improve their web presence ever since. His project management and marketing experience includes working with Fortune 500 companies as well as the real estate, security and non-profit segments. He will provide production management, business development and financial management for the company. Davis graduated from the University of SC with a degree in public relations. As Marketing Technologist, she provides SEM, account services and manages some production and social media for different clients. Adam Thompson, previously Co-owner of RYP, serves as Director of Digital where he manages SEO, SEM and PR outreach for clients. 10x digital employs more than 12 contract full-service team members in FL, VA, SC, WA, TX, IL and CA. The Greenville office is temporarily located at 220 N Main Street in downtown Greenville. 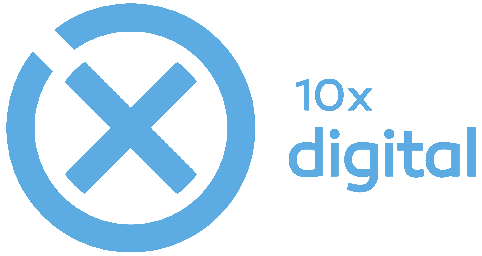 10x digital is a woman-owned business and a full-service content marketing, public relations and digital agency, based in Greenville SC. 10x was recognized by Content Marketing Institute as one of the top content marketing agencies in the world 2014-2015 and has operated in SC since 2002. 10x has regional, national and international marketing clients in many different industries. More information on content marketing and PR can be found at hollymrollins.com.